You subscribe to more than one fitness magazine. You read a number of fitness blogs and follow a variety of fitness experts on social media. You have multiple gym memberships or go to multiple workout studios every week. 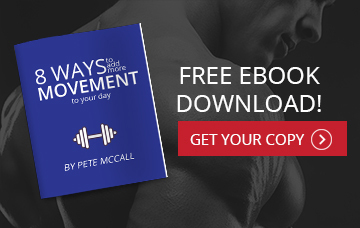 You schedule and plan your workouts every week. You look forward to days off because you can spend a little more time in the gym. You’re bummed if you’re not a little sore the day after working out. Your bathroom is always filled with exercise clothes hanging up to dry. You have different training shoes to match different outfits. You’re extremely careful about what you eat. You meet most of your friends at the gym. 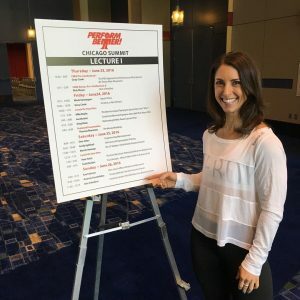 If the above list sounds familiar have you ever thought about changing professions to start a career in the fitness industry? If you enjoy exercise and the fitness lifestyle did you know that you can make a good living as a personal trainer by helping others experience the benefits of regular physical activity? Many people have the misperception that being a personal trainer means just hanging out in a gym acting like a drill sergeant. That is the furthest thing from the truth. Being a successful personal trainer requires knowledge in a number of diverse subjects including anatomy and physiology, psychology and business. Designing an exercise program requires knowing which exercises can help a client achieve his or her individual goals as well as having the ability to help a client establish healthy habits to adhere to the program. Artemis Scantalides is the perfect example of a person who made her hobby her career. 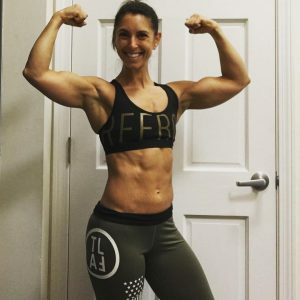 Artemis went from a consultant making a great living working with various governmental agencies to owning her own fitness studio and teaching seminars on the benefits of strength training. To hear her story of why she left a lucrative consulting career and how she got started as a personal trainer and instructor as well as her journey towards earning the prestigious Iron Maiden recognition listen to episode 12 of my All About Fitness podcast. Money magazine recently identified personal training as one of the top careers in terms of low stress and a sense of personal accomplishment. 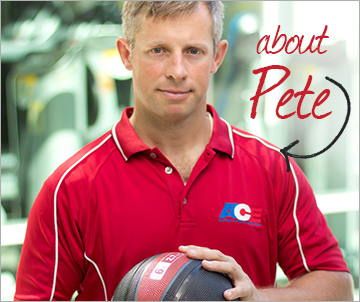 If you’ve been thinking about becoming a personal trainer then it’s time to stop thinking and start doing. Here are eight reasons for changing careers to become a personal trainer. You can make a living by helping others improve their lives. You get to see tangible results of your work when clients reach their goals. Money magazine identified personal training as one of the top twenty professions in the country due to the low stress and positive impact on others. You develop skill in a profession projected to be one of the fastest growing careers in the next 20 years. Unlike other industries in the American economy personal trainers are not at risk of losing their jobs to overseas labor markets because no one will fly to India or China to see a personal trainer. Once you establish your business you have flexibility in creating your own work schedule. Not only do you get to wear workout clothes all day long but many fitness clothing companies offer discounts to trainers and instructors in an effort to promote their products. If your favorite time of day is either when you walk into your gym for a workout or hit your favorite trail for a run and you can’t imagine life without exercise then you should seriously consider becoming a personal trainer. Whether you are working in a health club or plan on visiting clients in their homes it takes time and effort to establish a regular clientele, however once you start working with a regular schedule of clients you will have a career that is both personally and financially rewarding. Starting a career in fitness might seem like a challenging process but once it happens you’ll be kicking yourself for not doing it sooner. In the interest of full disclosure I used to work full-time for the American Council on Exercise and currently do freelance projects for both them and the National Academy of Sports Medicine; both certifications provide adequate information for how to design exercise programs that can help clients reach their goals. 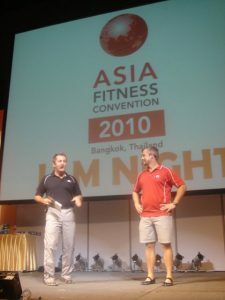 I went from being a gym rat to traveling the world delivering fitness education workshops… you can too! This is a great post, thank you! Working out has always been a hobby of mine that I considered making a career. This is helpful information to consider, thank you!